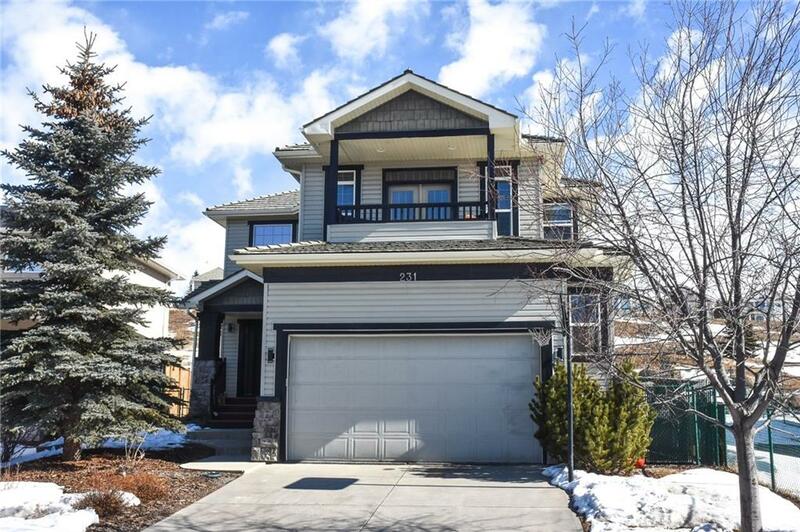 DESCRIPTION This beautiful fully developed 2 storey home backs onto the golf course in the heart of Gleneagles. Features of this exceptional home include large front entry, beautiful family room with feature fireplace, large kitchen with center island and lots of cupboards and counters, large eating area with access to rear deck and private back yard. Main floor also offers laundry, 2 pc. bathroom and hardwood thru out. The upper level includes a bonus room with balcony that offer west views, 3 bedrooms, the master includes , spa like ensuite, with heated floors and walkin closet. The basement includes family room with rock faced fireplace, additional bedroom, 4 pc. bathroom and storage. The yard is landscaped there is an oversized attached garage that will fit a full sized vehicle. This home has great curb appeal, exception location and great value. This home is a must view. 231 Gleneagles View. 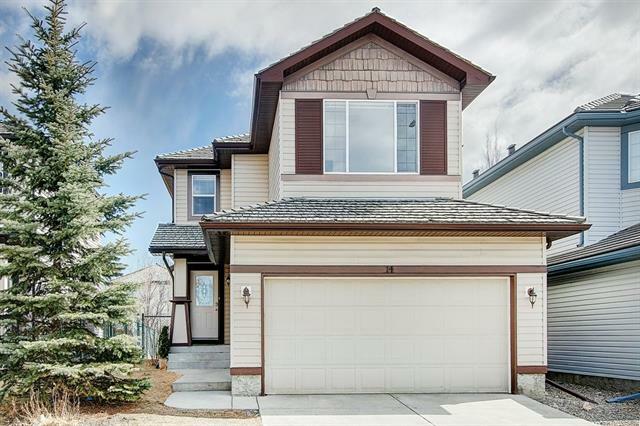 231 Gleneagles Vw, Cochrane, Alberta, MLS® C4233226 T4C 2G5 is a Detached, 4 bedrooms, 4 bathrooms, approximately 2,036 Sq. Ft. Listing price 549,000.00. This property was built in 2001.